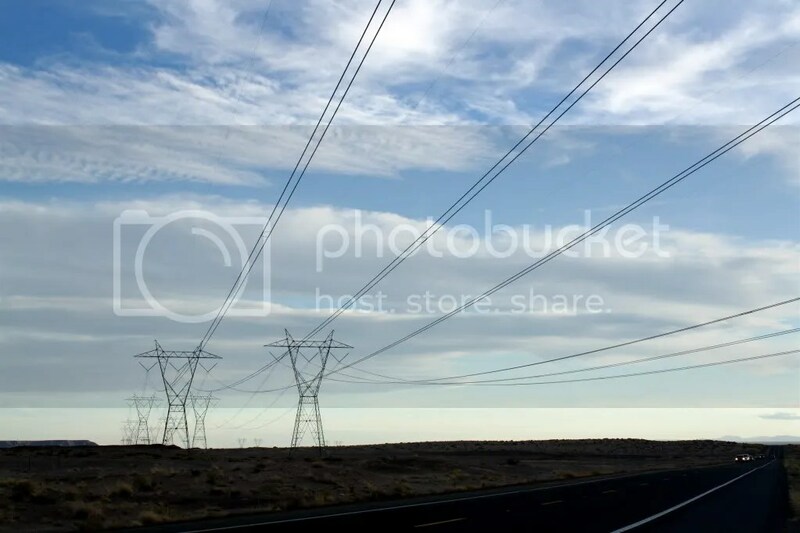 Wind whips along U.S. Route 160, a two-lane rural highway that stretches like an obsidian necklace across the sandstone hills and valleys of the Navajo Nation. Sand blows from one dusty shoulder to the other in long trails that twist and wriggle like ethereal snakes. A row of plywood booths is strung out from the road. Brightly painted signs try to entice drivers to pull over. “Art Sale,” one reads. “Native American Arts and Crafts,” reads another. 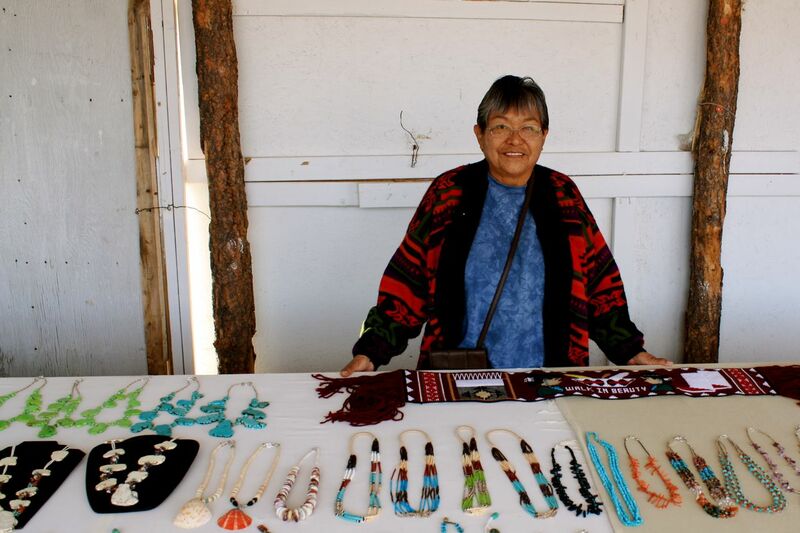 Susan Gregg, a resident of Tuba City, shares a booth with a friend, where she sells her handmade jewelry. She handpicks every stone and grinds and polishes each one. Such intimate contact with her work has given her almost encyclopedic knowledge about each one. All of her jade comes from Alaska. She finds picture jasper in the hills around Prescott and quartz from geodes on the Reservation. Most of the materials she uses are believed to have special healing powers, she explains. Juniper seeds were worn to funerals to protect mourners from the spirit of the deceased. Gregg retired from her job at the Social Security Administration in 2001, after which she taught herself to make jewelry from patterns she found online. “I am one of those people who doesn’t like to be idle. I like to keep busy,” she says. She gets supplemental income from selling her work at the booth, but admits that times are tough, even during the holidays and tourist season. “It’s a good hobby, but you don’t get rich doing it,” she says. 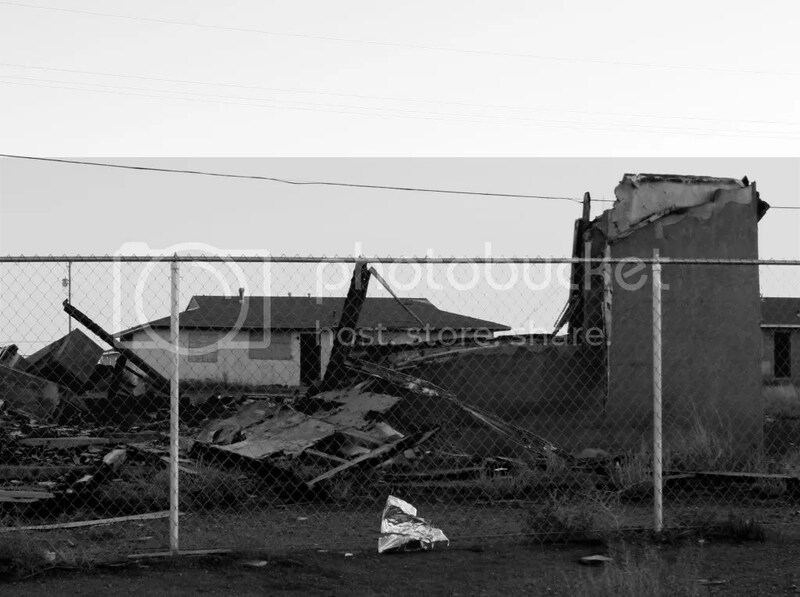 Gregg isn’t the only one who has noticed a decline in the economy of the Navajo Reservation recently. 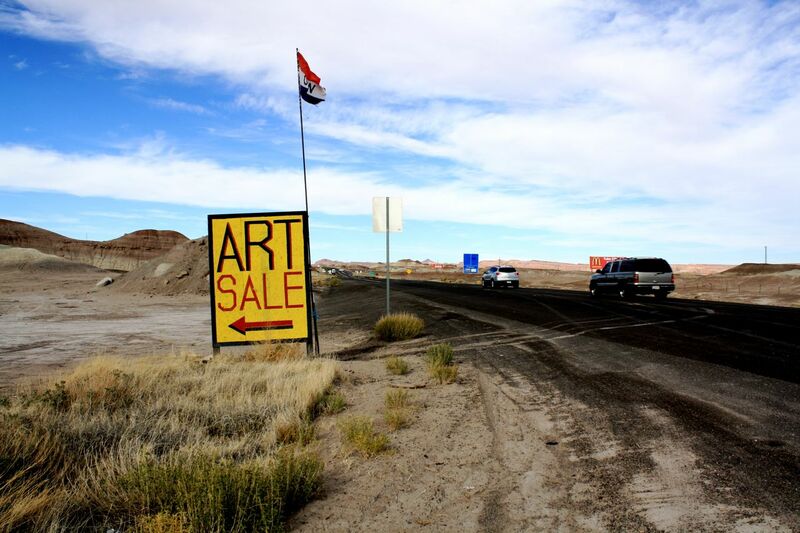 Entrepreneurs across the Reservation have seen a slump in sales. 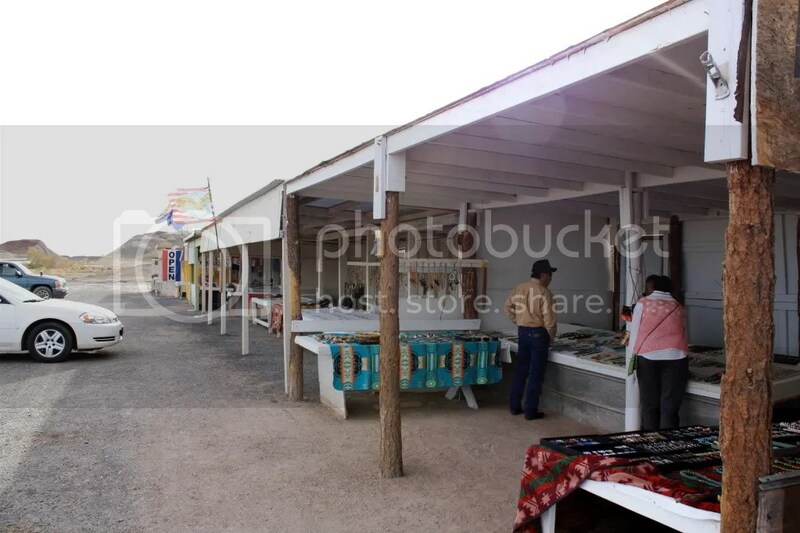 Some people like Genevieve Gonnie, who runs a food stand out of a trailer in Leupp, Ariz., blame the Nation’s restrictive leasing process for hampering the start of new businesses. Dolly Lane is the Principal Economic Development Specialist at the Navajo Nation Regional Business Development Office in Tuba City, AZ. Her second story office overlooks a small, nondescript strip mall. Multiple windows in the building have been broken and covered up with sheets of plywood. Shards of glass litter the ground below and glitter in the late afternoon sun. Lane is one of the people tasked with packaging all of the business leases for the western region of the Navajo Nation. She admits that getting permission to start a business on the Reservation is hard. 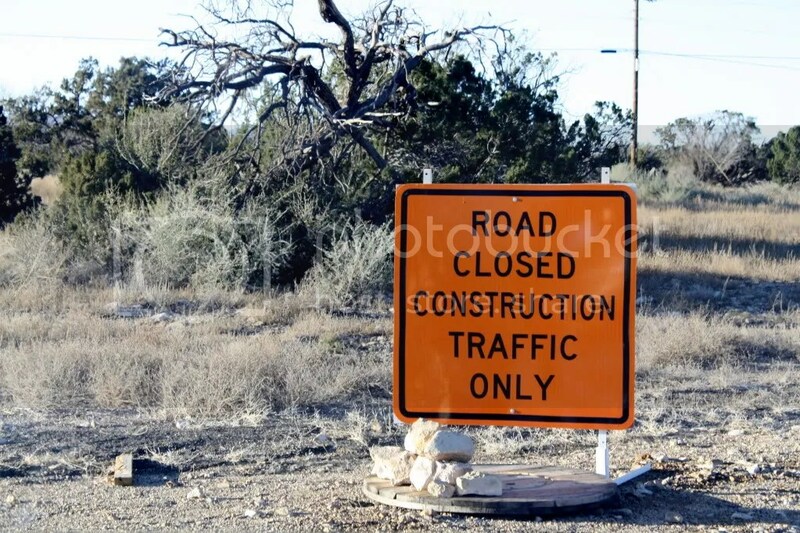 Once business owners get permission from the other land users and from the chapter, then they have to get surveys conducted by the Navajo Nation Environmental Protection Agency, the Navajo Nation Archaeology Department and the Navajo Nation Department of Fish and Wildlife before the application is sent to Window Rock, where the lessee must pass a credit check and get approval from the Department of Economic Development. If there are no problems with their application or their credit, the president must then sign off on each and every lease before a business owner can break ground. Lane estimates that the entire process can take one year if everything goes smoothly. Leases for new business sites last 25 years and usually come with an option to extend it for another 25 years. “We’re encouraging communities to withdraw land and conduct surveys now to shorten the process,” Lane adds. Pushing lands through the review process could dramatically shorten the time it takes to get approval for a new business site. Once businesses are approved, owners must still pay rent to the nation, though some businesses can get their first three years of rent waived if they’re building on the site, in an effort to help small businesses recoup their investments. The combination of a long and complicated application process and the prospect of paying rent to the government is enough to dissuade many entrepreneurs from seeking legal status, preferring to set up temporary sites on the side of the road. Nash Myers sells roasted, salted pinions and red chile tamales out of a cooler in the back of his red Ford F-150 on the side of Leupp Road. It was too hard on his family for him to be commuting over 100 miles per day and too expensive to pay for gas and maintenance on the truck, so he gave up his job in Flagstaff as a river runner. Myers believes that the rural nature of the Reservation makes it easier for people to get jobs in border towns and harder for people in remote areas to get work. “A lot of families only have one vehicle. So, if you have to go in to work one day, your husband or wife has to take the car and get gas and supplies. It’s tough,” Myers says. Back in Flagstaff, Mandy Metzger believes that the root of the Navajo Nation’s economic problems is a lack of infrastructure. Metzger represents District 4 on the Coconino County Board of Supervisors, which includes much of the western half of the Reservation. “We’ve had a contract with [the Bureau of Indian Affairs] to maintain the roads, but because the BIA hasn’t been funded, they haven’t paid the county and so everything has stopped,” Metzger says, shaking her head as she points out some of the communities in her district on a large map covered with checkered squares designating private land and trust land. Metzger has only been in office for three years and has never known a Reservation economy that wasn’t struggling. “It’s never been good while I’ve been in office. I’ve never known good times. I don’t know what they’d be like,” she says. However, she is optimistic that the new casino at Twin Arrows will help generate jobs for 600-800 people. Sharon Doctor is the Assistant Director of Native American Student Services. She isn’t convinced that the casino is a good idea. Doctor thinks the Navajo Nation should be trying to bring more businesses to the area, especially the green energy industry. Yazzie believes that the future of the Reservation is agriculture, not an increased emphasis on casinos and tourism. He is worried about the state of the economy, especially with unemployment rates hovering between 40 and 50 percent. Back at her booth on the side of Route 160, Susan Gregg doesn’t have an opinion about the casino. Her fledgling business is a more immediate concern. 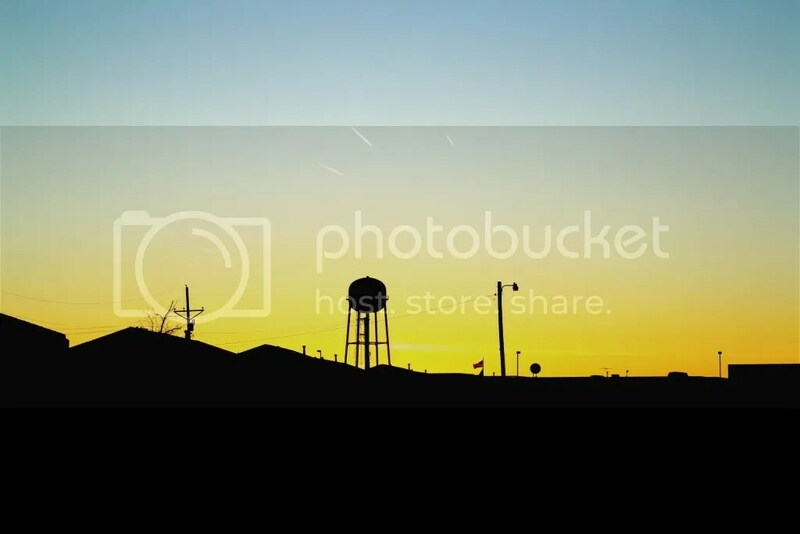 Jonny Eberle is a writer, photographer and really curious person living in Flagstaff, Ariz. He travels extensively, immersing himself in new cultures and experiences whenever possible. His thoughts on anything and everything are available in 140-character increments on Twitter: @jonnyeberle.